This is a very disturbing case, a murder arising out of domestic violence. 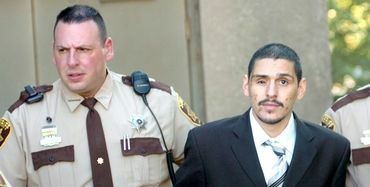 Mr. Gonzalez believed that his estranged live-in girlfriend, the mother of his children, was having an affair. Gonzalez secretly recorded telephone conversations from the house. He then disconnected the recorder from the telephone and proceeded to drive to various locations in order to acquire a weapon. On the way he had several telephone conversations. Eventually, Gonzalez arrived in New York, where he had a conversation with an individual about how to best avoid leaving any trace evidence behind. He then acquired a handgun and a bulletproof vest. Unbeknownst to Mr. Gonzalez, the handheld recorder he had in his pocket the entire time had accidentally been turned on. It was a voice activated recorder, so it was able to record sounds including the telephone conversations and the discussion he had in New York. We spent hours listening to these recordings and even took them to a recording studio for enhancement. Once Mr. Gonzalez returned home, he awaited the return of his girlfriend. Shortly after her entrance into the house, she saw him, apparently with a gun, and turned to flee. She was shot once in the back. Then, as she sat helpless on the landing of the stairway by the exit to the home, he placed the gun on the top of her head pressing it against her skull and fired another shot. He shot her again in the face. Gonzalez turned the gun on himself, firing. He must have moved his head at the instant the gun went off because the bullet did not penetrate his skull. Rather, it struck his eye socket. He must have activated the handheld recorder again as it created another audio file. The activated recorder was found along with the gun lying next to the victim’s body. One of the most disturbing aspects of the case is what was caught on that additional audio file. In addition to the moaning and groaning of Gonzalez, the victim’s young daughter, four years old, awoke to find her mother dead on the floor and her father sitting on the steps. He was horribly injured. He could not answer the girl’s questions about what happened. The little girl could not wake her mother up. Eventually, the little girl led her father downstairs, and sat him on a sofa. She then returned to her mother’s body and again tried to wake her up. She began to bang on the screen door of the home, screaming for help. A neighbor was alerted to the screams and came to the doorway. Not a single one of the investigators could listen to that audio file without being affected. Gonzalez survived, but lost an eye. He claimed at trial that both he and the victim were attacked by assailants. The jury convicted him of first-degree murder and the surreptitious wire intercepts of the victim’s conversations. He is currently serving a life sentence in state prison. His appeal to the Superior Court was denied. His Petition for Habeas Corpus Relief in Federal Court is currently pending. Special praise should go to Detective Rich Luthcke of the Pocono Mountain Regional Police Department for his involvement in this investigation. Rich’s tireless efforts and insight went a long way toward securing a conviction.